I took this photograph about two weeks after a bush fire had swept through the area. 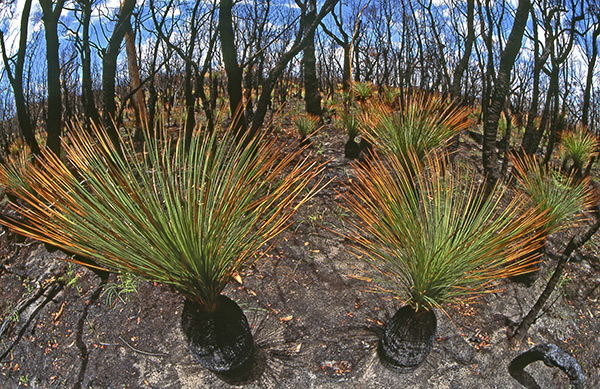 The grass trees had already produced new growth, giving colour to an otherwise black landscape. I used a 16mm fish-eye lens to encompass as much of the scene as I could - the distortion caused by the lens also adds to the surreal feeling.